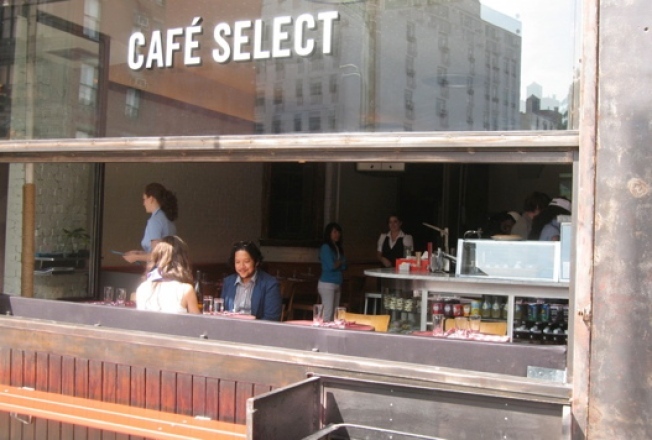 Per an Eater walk-by spot check, Serge Becker's Cafe Select is certifiably honestly and truly, open to the public, about two weeks earlier than the last projection on Grub Street last week. Considering they've already had more than a couple preview and opening parties over the last few months, we say it's about time. Trendy Swiss food—and what may be New York's first Alpine wine list—for all.